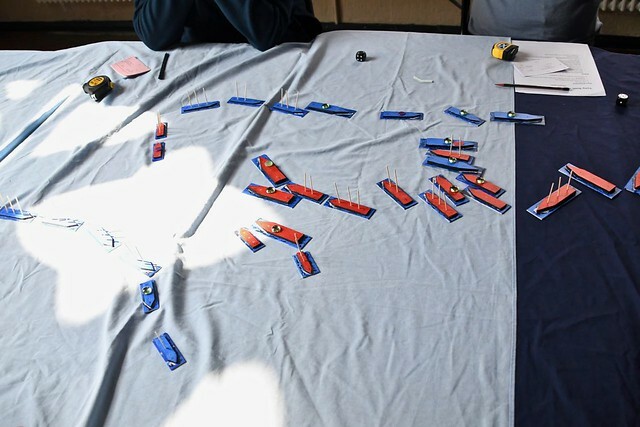 Saturday April 13 saw Lloyd, Mat, Michael, Pete, Richard and myself gather under the stewardship of Stephen E, to partake in some Napoleonic naval shenanigans using rules from Donald Featherstone’s Naval War Games. Many thanks to those who braved the seas off Cape Finistere with its ever changing winds yesterday. It was a very close fought game and a bit too close to call really. 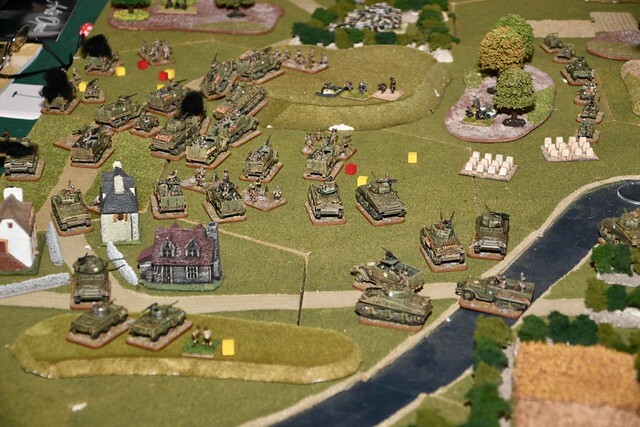 Both sides did what they had been told and engaged the enemy ferociously. At the end, there were numerous ships adrift and a number had struck their colours. The French had three sunk (two second rates and a third rate) though they had a squadron almost without damage left (though they were lagging behind somewhat). The Brits had had no ships sunk, but the bulk of their fleet was dis-masted. It is safe to say neither fleet would be featuring very heavily in Trafalgar which was to follow very shortly. The British Admiral also avoided court martial, unlike his historical prototype. A selection of photographs from the day can be found on Flickr. A big thank you to Stephen for putting the game together and to my fellow players for making it a fun days gaming. 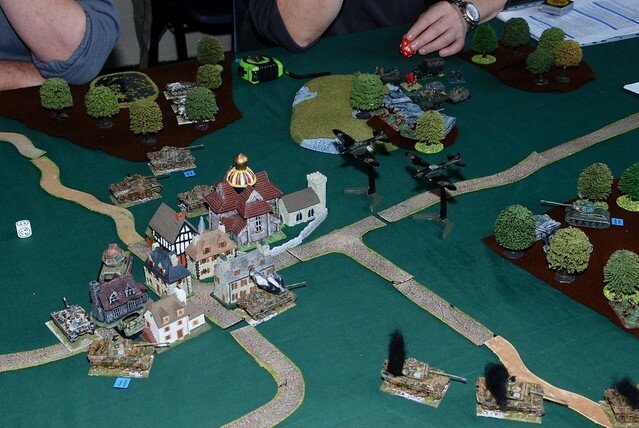 Sunday November 27 saw a selection of club members make the trip to Bristol to put on a couple of demonstration games of Force on Force Ambush Alley. 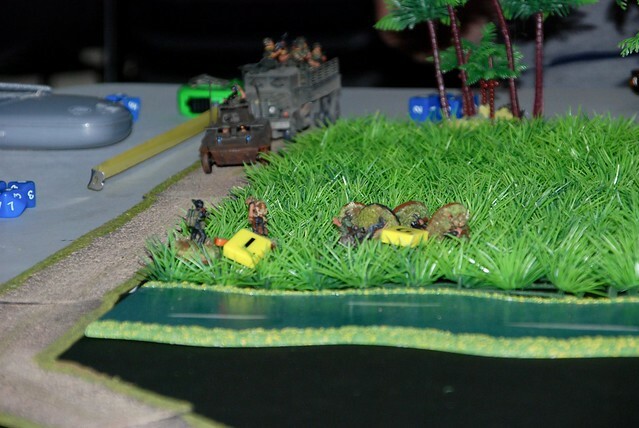 Photos of the games can be found on Flickr. 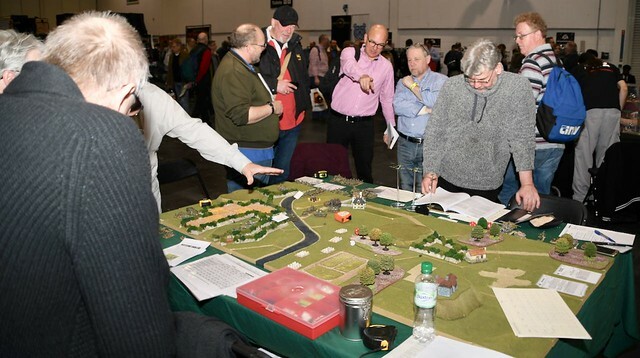 Sunday November 26th will see a few of us once again head off to the annual Lincombe Barn Wargames Society show, Reveille II. 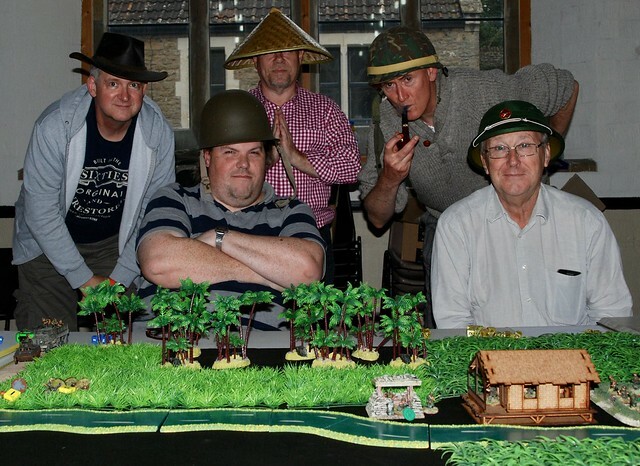 Last year we ran demonstration games of Osprey Games’ The Men Who Would Be Kings, this year sees us taking Ambush Alley Games’ Force on Force to run some ‘Dak To’ Vietnam Skirmish games. Author NeilPosted on November 12, 2017 3 Comments on Off to Reveille II again! Content has been a bit sparse around here recently, but that doesn’t mean we haven’t been playing games. Here are some photos from a few of the recent Big Game Saturdays. 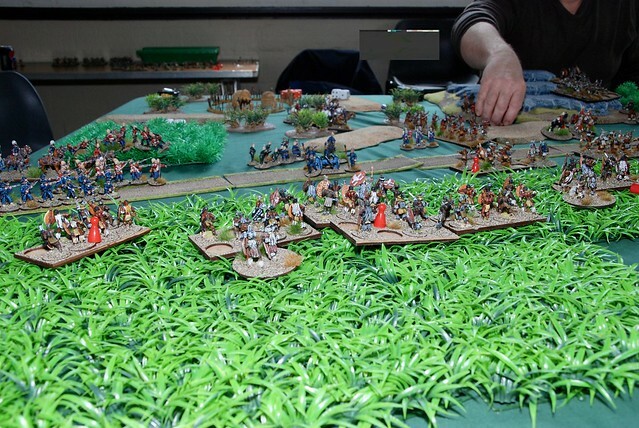 May saw us once again getting the Zulus out, this time for some The Men Who Would be Kings action. The Flickr album can be found here. Jumping ahead to October and it was the turn of Force on Force to take centre stage as we tackled the Vietnam War (the recent BBC Four series may have been a factor here). The Flickr album if here. 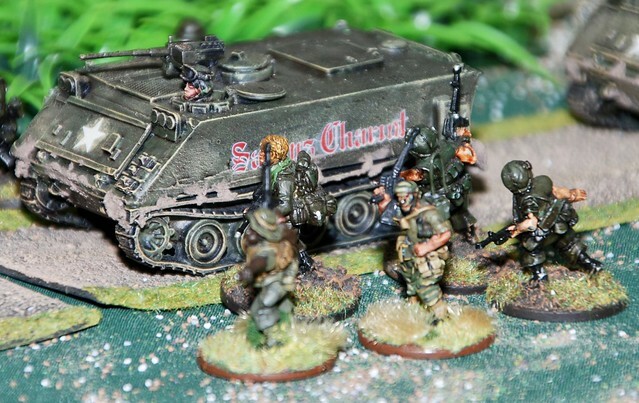 And finally November saw the return of Mission Command, with further adventures in Russia, and the continuation of the Maurice campaign. Once again, photos on Flickr. You might notice things look a little different around here. That’s because the site has moved from it’s previous platform to being built on WordPress, probably the most popular blogging platform available. The reason for the change is to make it easier for other people to add content and to reduce the bus factor by not having just one person responsible for maintaining the site. As an added bonus, it is now possible to comment on posts. All the old content has been moved across. some old links might be broken but for the most part things should be as they were on the old site.